Prairie Loft has space available for meetings, meals, retreats, weddings, birthday parties and other group events. If you are looking for a unique space in a beautiful setting, Prairie Loft may be the place! Please read and download information below about booking space at Prairie Loft for your event. See our calendar for available dates, then submit your inquiry using the form at the bottom of this page. PLEASE NOTE: Weekends for wedding ceremonies are limited to available dates between May and October. We are currently booking 2020 wedding ceremonies. Weekend dates may still be available in 2019 for small events. HALF DAY and WEEKDAY rental dates are widely available. Seats 10-30 people indoors. Additional patio seating available. Perfect for luncheons, meetings, birthday parties, and more! $1,000 for full day Saturday (up to 10 hours). $600 for full day Sunday through Friday (up to 10 hours). $100/hr for partial day. Please see below for wedding rental info. Additional fees apply for additional hours and amenities. 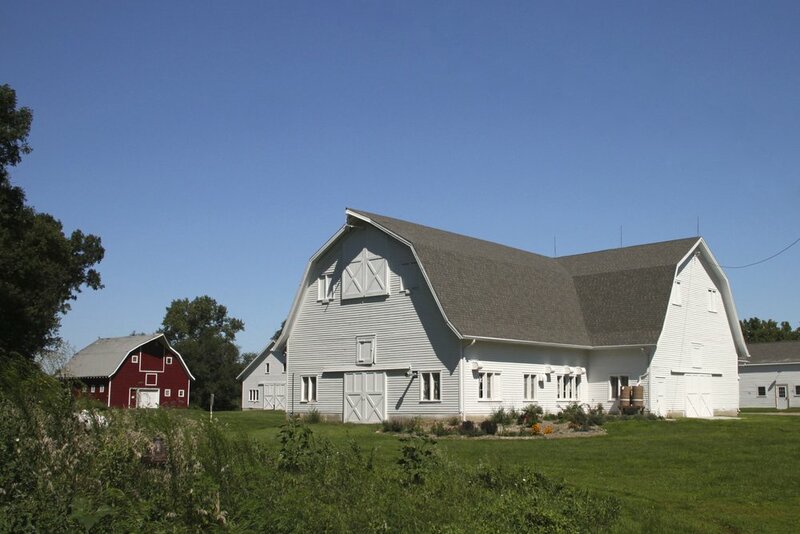 Prairie Loft provides a unique and beautiful place for your wedding ceremony! Weekends for wedding ceremonies are limited to available dates between May and October. Wedding weekends are fully booked for 2018 and 2019. PLEASE NOTE: Beginning with 2020 dates, Prairie Loft will host wedding ceremonies only (no receptions) on available Saturday and Sunday afternoons. Please see the Wedding Ceremony packet for details. Our future amenities will include another temperature-controlled space for a variety of year-round activities. Watch our website and Facebook page for updates as work progresses! Please review the facility use policies and information at the links above and check the calendar for date availability. To inquire about facility rental, please use the form below. PLEASE NOTE: We generally do not rent Prairie Loft facilities for events that are open to the public or include benefit or fundraising activities for other organizations. Thank you for considering Prairie Loft for your event! Please review the facility rentals packets linked above, and check the calendar page for date availability, In your message, include your type of event and dates of interest.